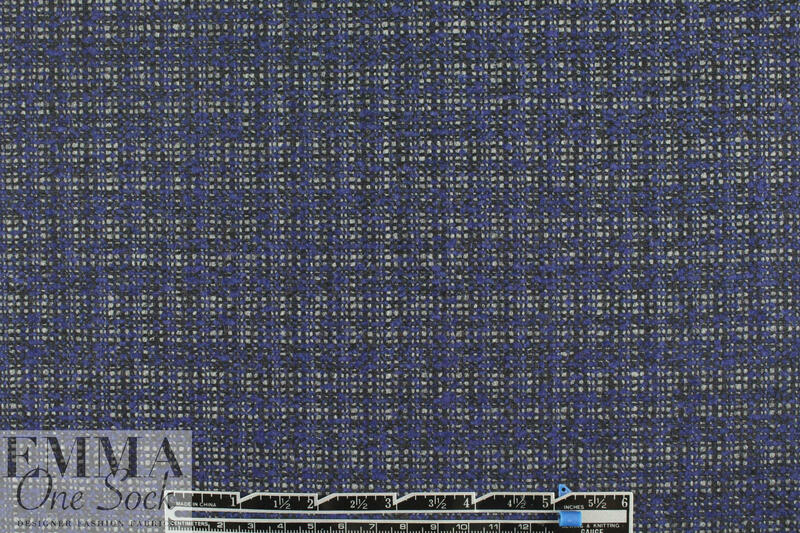 This is a gorgeous Italian wool blend fancy tweed woven suiting from Trin@ Turk, with an exquisite coloring of royal, black and silver (PANTONE 19-3947, 14-4002). 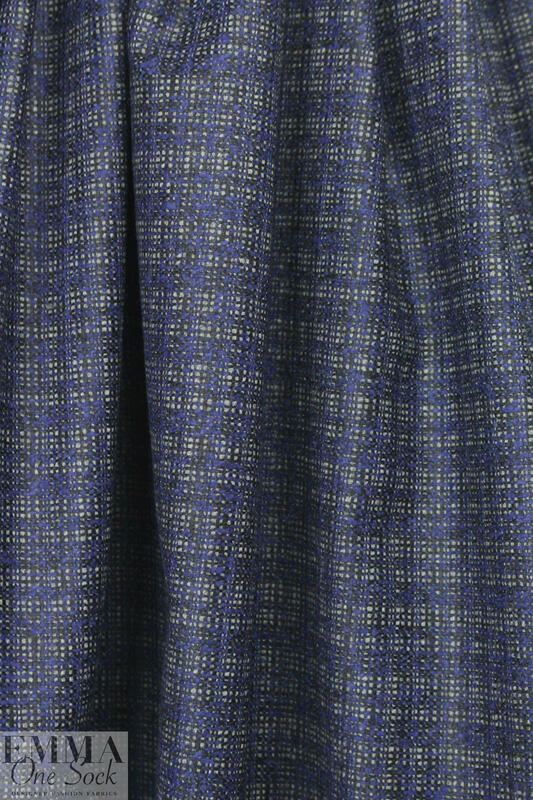 It has a small plaid-like repeat (1" repeat) and although it has a textured look it actually feels quite smooth to the touch. 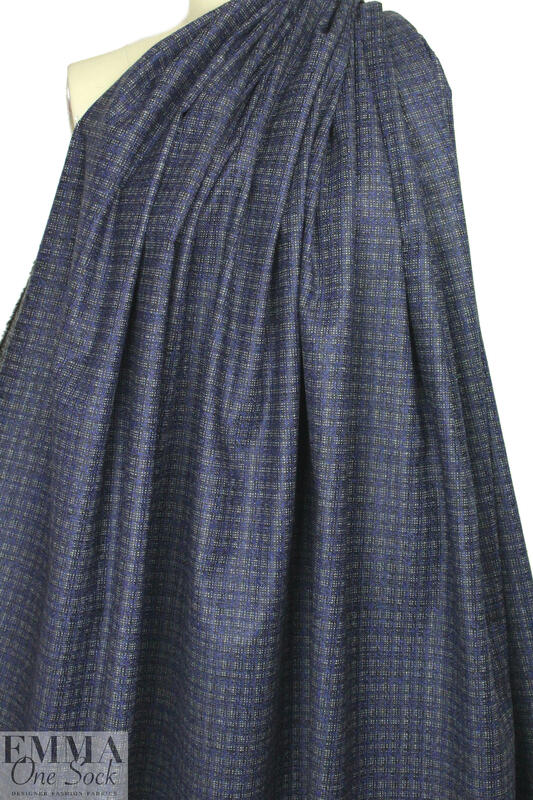 It's the same on both sides, and is a suiting weight perfect for a jacket style where both sides will show, as well as for other tailored jacket, topper coat, skirt or dress styles. It has drape with body and is tightly woven and opaque. Very sophisticated and upscale, and can be dressed up or down. Dry cleaning is recommended. LAST PIECE, 1.375 yds.